I take the use of my girl scout cookies pretty seriously, especially since they seem to make the packages smaller every year, but even I have to admit that this Thin Mint Popcorn sounds like a good idea. I love all my other treats in popcorn too, so why not! 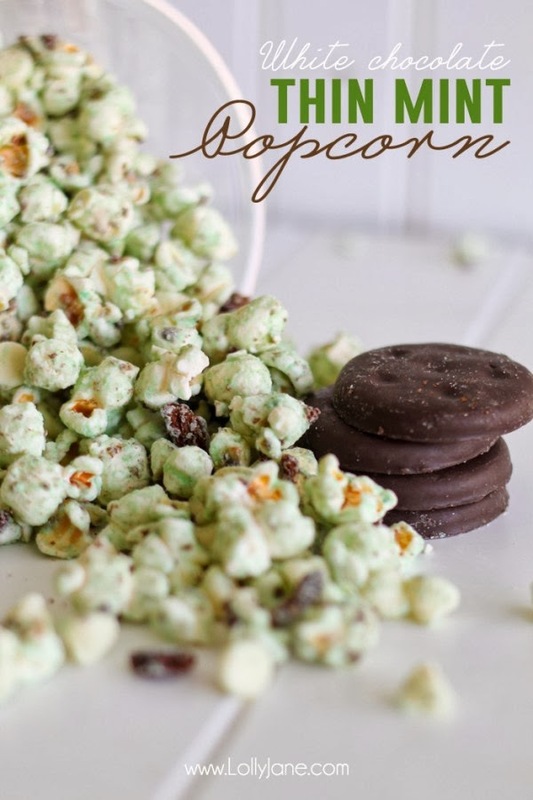 You can check out the Thin Mint popcorn recipe over at Lolly Jane. And if you don't have any Girl Scout cookies on hand (or if you happen upon this recipe once Girl Scout cookie season is over and you have finished off your last sleeve of Thin Mints, you can check out some DIY girl scout cookie recipes!